The BSE Sensex rallied 5,926.33 points to 39,275.64 and the Nifty50 climbed 1,757.15 points to 11,787.15 from October 26 to April 16 driven largely by banking & financials and select oil stocks. Investor wealth (BSE market capitalisation) increased 15.7 percent, or Rs 20.91 lakh crore, to Rs 154.23 lakh crore during the period. It was not just the benchmark indices, even mid and smallcaps recovered from their low levels. Out of the total 750 stocks in the BSE Smallcap index, 60 percent gave positive returns during the period. 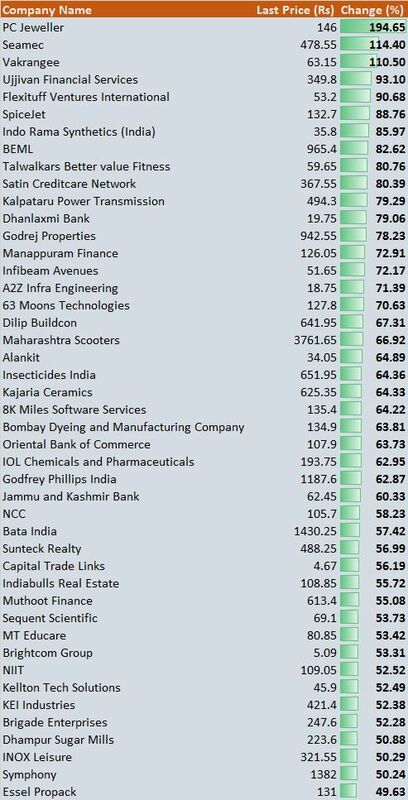 Top 45 stocks on that list rallied 50-195 percent, as per study of historical data. These include PC Jeweller, Vakrangee, Ujjivan Financial Services, SpiceJet, BEML, Kalpataru Power Transmission, Godrej Properties, Manappuram Finance, Dilip Buildcon, Godfrey Phillips and Bata India. Among the BSE Midcap stocks, over 70 percent stocks clocked positive returns. And top 20 stocks gained 25-110 percent. These include IDFC First Bank, Adani Power, Union Bank of India, Piramal Enterprises, Divis Laboratories, RBL Bank, Oberoi Realty, Bank Of India, Canara Bank and United Breweries. The rally seen across segments during the October-April period was largely on the back of value buying, favourable macros (stable crude oil prices and rupee) and easing US-China trade tensions. The last leg of rally was in fact fuelled by FII inflows. 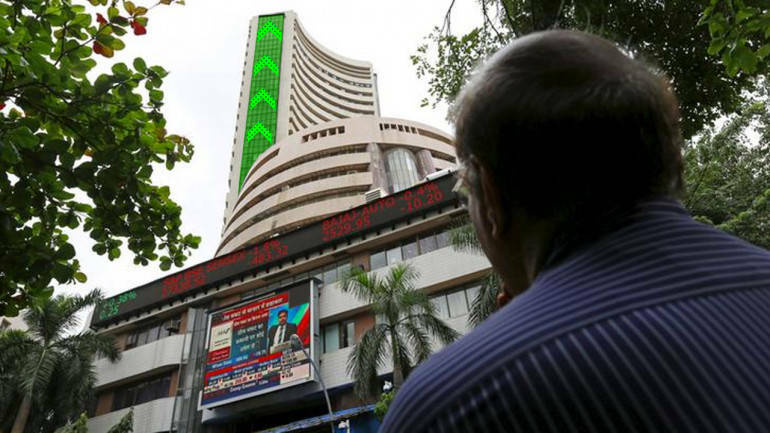 "The benchmark indices, both Nifty and Sensex, are still not showing any sign of slowing down, however, they could see some intermediate pause and that would be healthy," Jayant Manglik, President - Retail Distribution, Religare Broking told Moneycontrol. Shailendra Kumar, Chief Investment Officer at Narnolia Financial Advisors said the current rally in the market is on the back of expected earnings improvement. Going forward, FY20 is expected to be the year of earning revival in terms of headline numbers, according to him. Improved flows to emerging market after the US Fed and other central banks toned down their hawkishness also supported the market. Manglik said, technically, Nifty has potential to test 12,000 while AK Prabhakar, Head of Research at IDBI Capital Markets & Securities said 40,000 on Sensex may be possible very soon. He recommends investors to focus on fundamentally sound stocks and traders to keep stock-specific approach.